When we hear “four letter word” we automatically think of some commonly used profane, vulgar and curse words. I thought it would be a good exercise this Valentine’s week to focus on the beautiful and inspiring 4 letter words. 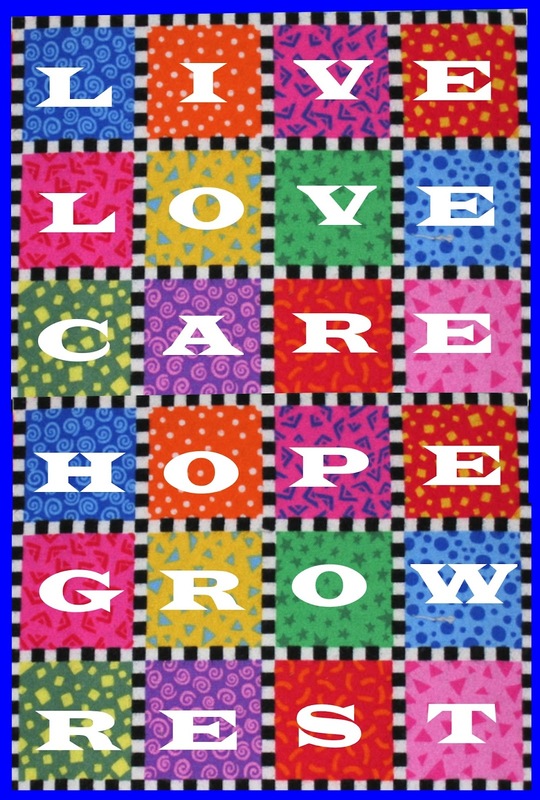 Here’s a patchwork poster you can make for your room or office. Cut a pattern for the rectangle, and cut 24 rectangles of different colours and designs. *Note: This can also just be done on the computer (like my example). Cut and paste patterns to build rectangles. You can also cut and paste striped borders from a stripe pattern sample from the internet. Anyway, let your imagination fly! You four-letter word poster is ready! Inspire yourself and others to live life to the fullest! Dear Paulina, I have been admiring your four-letter word image and would like to borrow it for use on our poetry website, Write Out Loud. We don't have any money to pay you, but will certainly give you a credit. Would that be ok? Thank you for dropping by DDOA. Thanks as well for your kind words of appreciation for “The Four Letter Word” Patchwork Poster project. Please check your email, I just sent you a response to your question. 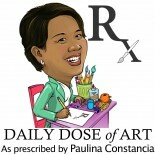 This entry was posted on February 17, 2012 by Paulina Constancia in Communicate, Connect, Create, Teach.